Please fill in the form below and tell us what you would like delivered to you door. Delivery is free and there’s no contract. 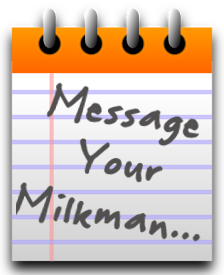 Your milkman will collect payment during his rounds.